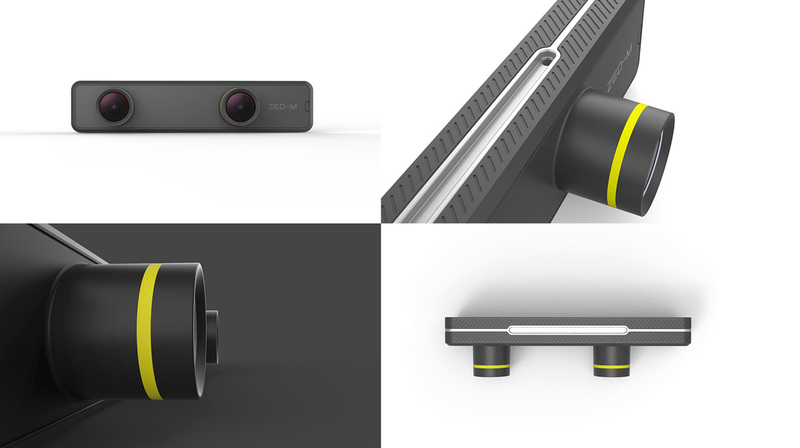 Meet ZED Mini, the world's first camera for mixed-reality. ZED Mini brings the best of virtual and augmented reality together. Using advanced depth sensing technology, the camera lets you live experiences like never before in a world where the real and virtual merge seamlessly. 3D with a true sense of presence. Walk, jump, crouch and dodge projectiles! 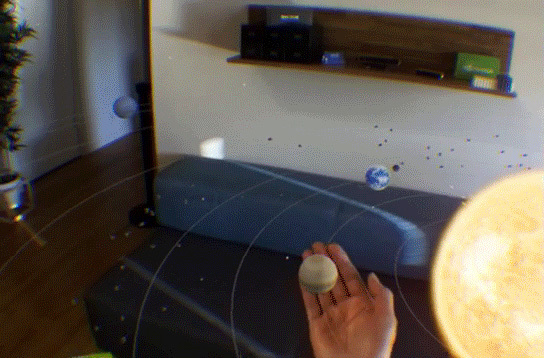 The ZED Mini understands how you move through space and adjusts virtual objects accordingly. No external sensors required. Interact with life-size virtual objects that project dynamic lights and shadows around you. Virtual elements blend seamlessly in the real world, in a far more realistic way than with any other AR device. Turn your room into a spatial display. 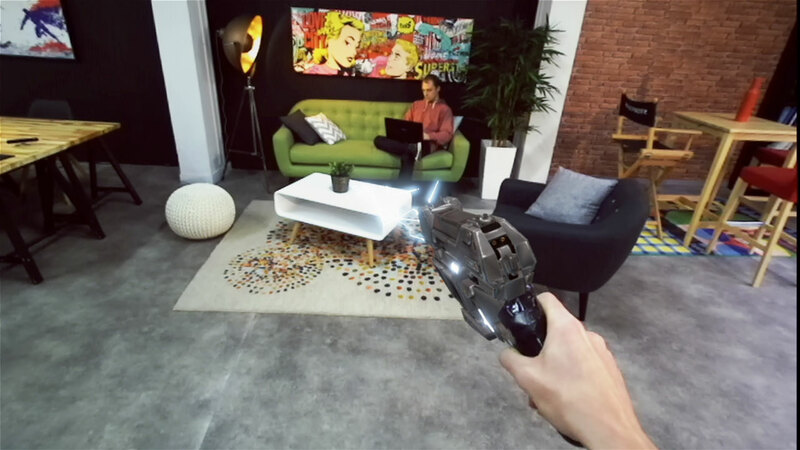 Project your application directly onto the real world and interact with people and objects in a mixed-reality environment. Real-life size stereoscopic experience with 3D perception matching your eyes and a 110° field of view. More immersive than ever. 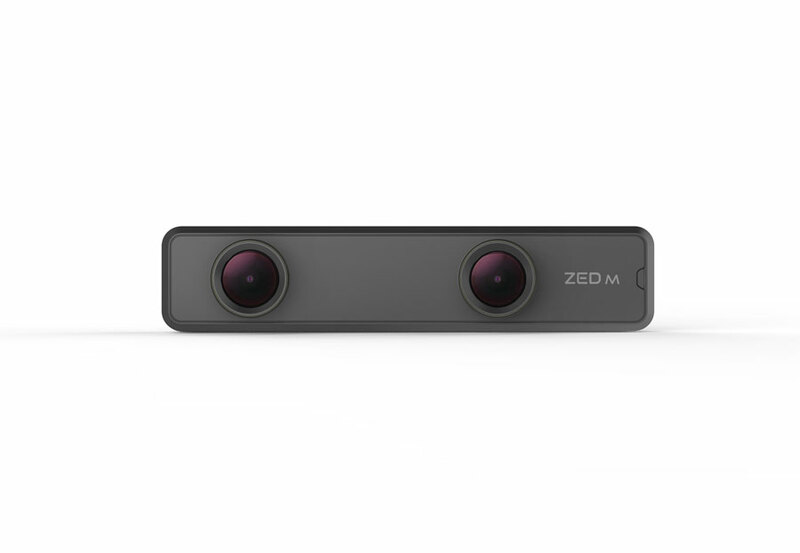 The ZED Mini understands the world around it in real time and perceives people and objects in space. This enables a level of interaction and realism never seen before with augmented reality devices. Natural lights, shadows and occlusions. Experience a seamless integration between the real and virtual worlds. Create exciting mixed-reality experience combining social interaction with the immersive nature of VR. You can even add a spectator ZED camera to capture an external viewpoint. Build high-end AR applications on Windows PC with Unity. VR mount compatible with Oculus Rift and HTC Vive. Get started. ZED Mini introduces a beautiful black design with an aluminium bezel designed to maintain sensing quality over time. The camera also features new gyroscope and accelerometer for visual-inertial motion tracking and a USB Type-C connector. Read more. How does the ZED Mini work? 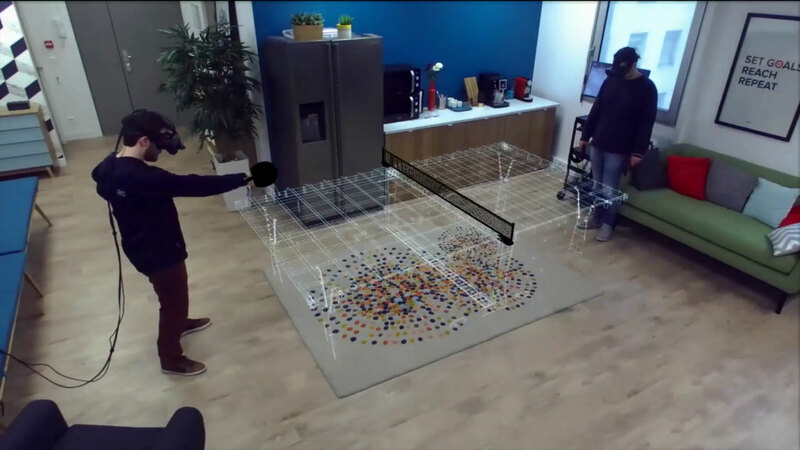 The camera’s software uses a combination of computer vision and advanced GPU computing technology to turn your room into a spatial display. 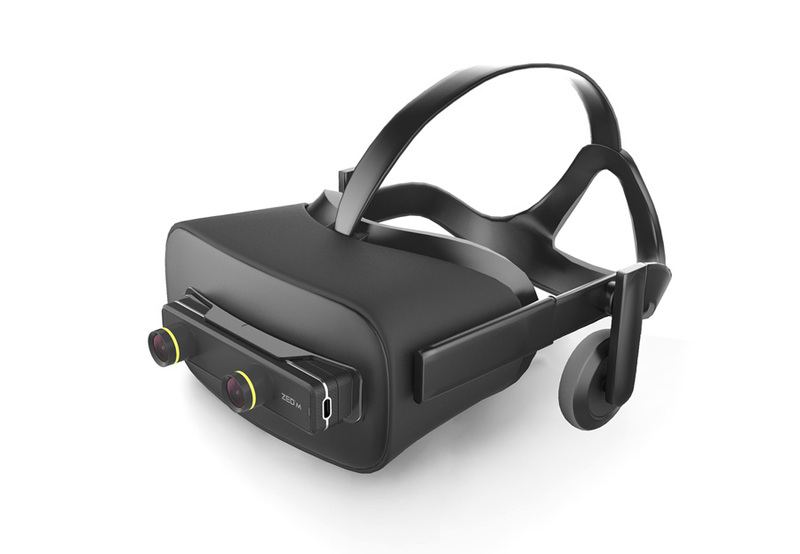 The camera allows you to project your application directly onto the real world with minimal latency, while simultaneously sensing the environment to let you interact with people and objects inside your headset. How do I develop apps with the ZED Mini? You can download our SDK and plugins on our Developer page. For AR, our Unity and UE4 plugins allow to quickly add stereo pass-through in an HMD, along with other useful features such as object placement, spatial mapping and more. What is the ZED Mini resolution? The ZED mini can output images up to 2.2k resolution (2208x1242 per eye) at 15FPS. For pass-through augmented reality, we recommend using the stereo camera in 1280x720 resolution to keep the frame rate at a comfortable 60FPS. What is the depth range of the camera? The depth range of the ZED Mini is 0.1 - 12 m (0.5 to 40 ft). What is the ZED Mini field of view? The camera’s maximum field of view is 90° (horizontal) x 60° (vertical). When displayed in an HMD for AR pass-through, we add black bars above and below the images to match the full vertical view of the headset optics. Can I use the camera for robotics? Yes, the ZED Mini is great for robotics applications that need close range depth perception. The ZED API and ROS plugins are fully compatible with both the ZED and ZED Mini. What is the latency for AR? We have optimized the full stereo imaging and sensing pipeline along with USB communications to reduce the latency down to 60ms. We also added Video Async Reprojection (VAR) technology to reduce rotational latency which is almost not perceivable unless strong motion is involved. What environments work for the ZED Mini? Like its big brother, the ZED Mini works in most situation where human vision work well – well lit environments, indoors or outdoors. There are no issues with IR interference, so sunlight or other sensors do not affect it. Environments that are poorly lit, shiny, or reflective can cause issues for depth sensing. How is the ZED Mini different from the ZED? The main difference is a smaller distance between the left and right eyes of the camera. With an interaxial close to the average human’s interpupillary distance, the ZED Mini is better suited for seeing nearby objects while still offering a maximum range of 12 meters. The new ZED Mini also benefit from improved tracking capabilities thanks to a built-in IMU and uses a detachable USB-C cable. Will the ZED Mini still work in USB2.0 mode? The ZED Mini is not backward compatible with USB 2.0. What headsets can I use for pass-through AR? 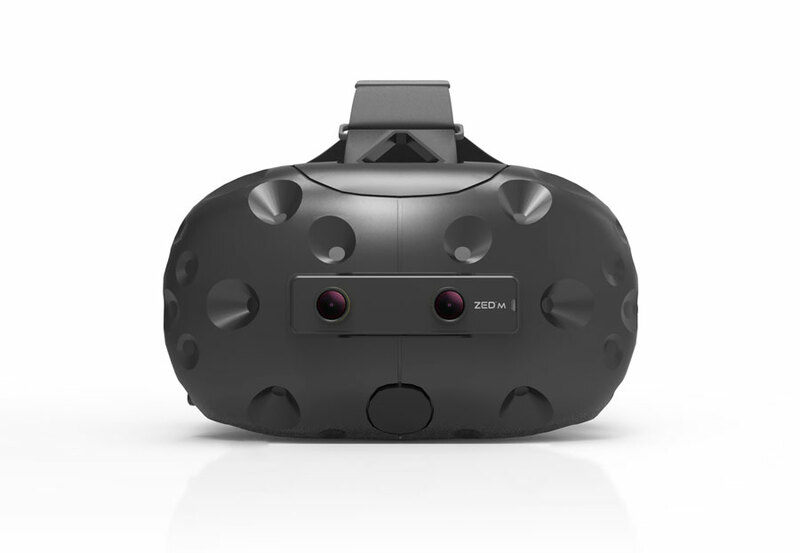 We provide a mount and software support for Oculus Rift and HTC Vive. 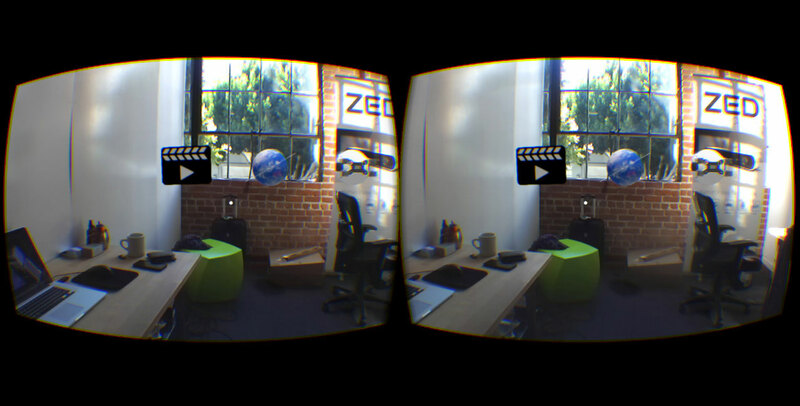 We recommend using ZED Mini with Oculus Rift for a greater field of view in AR. Other headsets such as Windows MR are not officially supported. What size is the ZED Mini? The ZED Mini is 124.5 long x 30.5 high x 26.5 mm deep (4.9 x 1.2 x 1.04’’) and weights 63g (0.14lbs). How do I mount the ZED Mini to a headset? The ZED Mini package includes an adhesive mount that fits on the front of the Oculus Rift or HTC Vive. Do I need to pre-scan a room before using pass-through augmented reality? As the ZED Mini maps its environment in real time, this is not required. However, our SDK and plugins include features for 3D scanning for use cases that require it. What controllers can I use with the ZED Mini? If you plan on developing with Unity or UE4, you can use any input that the engines support. However, the best experience comes from using Oculus Touch, Vive Controllers or PS Nav. Can the camera track my hands? The ZED Mini’s minimum range allows it to detect your hands in 3D, however we do not provide hand and finger tracking capabilities as part of our SDK and plugins. Where can I buy a ZED Mini? You can order the ZED Mini on our secured store here. We accept all major credit cards, bank transfers and purchase orders. Start building exciting new applications that recognize and understand your environment.